lightizm ⓒ all rights reserved. thanks. Nam Sang Chul, Korea-based visual artist and coder meets Austrian-born experimental film-maker & visual artist Rainer Kohlberger. Concerned with liveness and presence, this encounter juxtaposes two individual artistic approaches oscillating between the imposition and deliberate absence of structural and spatial dimensions. Borrowing its name from latin paritas, par meaning equal, each artist invites the visitor to immerse in a three-dimensional experience, transforming senses of space and time. 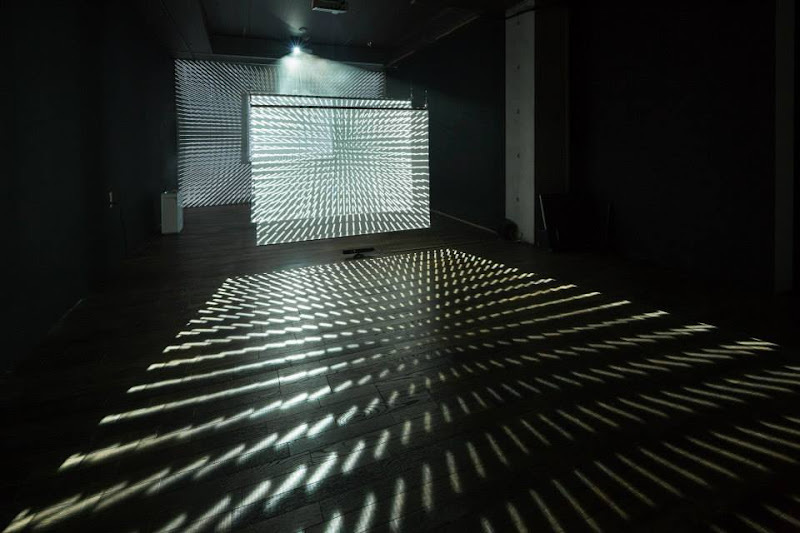 Sang Chul’s choreography of structural elements collides with Kohlberger’s disorientating vague patterns and flickering moirés, exploring and constantly reassessing the dynamic relationship between the viewer and their work. 한국을 기반으로 활동하고 있는 시각 예술가이자 코더 남상철 작가와 오스트리아를 기반으로 활동하는 아방가르드 필름 제작자 Rainer Kohlberger의 2인전. 살아 움직이는 것과 가만히 존재하는 것의 서로 다른 성격의 작업을 하는 이 두 작가가 한 공간에 같이 병치됨으로써 공간의 구조가 만들어지는 것과 해체되는 것을 동시에 오가며 경험할 수 있게 한다. 라틴어 paritas에서 비롯된 par는 동일함을 의미한다. 두 아티스트는 관객을 준비된 삼차원의 경험으로 이끌고 그 안에서 시간과 공간이 지속적으로 변화함을 느끼게 해준다. 남상철 작가의 구조적으로 구성된 요소들은 Rainer Kohlberger 작가의 혼란적인 흐릿한 패턴들, 깜박거리는 물결들과 충돌하여 관객들을 그들의 작업들 사이에서 깊은 힘의 관계들을 탐험하게 한다. DIS / PARITIES는 일시적인 현상이다. 이 전시를 통해 생성된 작품들 사이의 상대성을 보고 경험하는 그 순간만이 유일하게 DIS / PARITIES 가 존재하는 순간이다.